Did Hulu Really Drop 42% Of Its Traffic? If you are to believe some of the reports floating around, not only did Hulu lose 42 percent of its traffic recently, it also fell from the second most popular online video site to the tenth position … while serving more ads to its users than any other site. Don’t worry, it didn’t make any sense to us either. According to The Los Angeles Times, Web traffic measuring service ComScore changed the metrics it uses measuring the traffic to video sites, and this action lead to Hulu falling from being the second most popular video sharing site to tenth place. It is estimated that the site traffic fell 45 percent to 24 million from the previous estimates of 43.5 million. This information led ContactMusic to speculate that if Hulu was having troubles making money at the old number, how could it make money now? Well … the situation hasn’t really changed? All that happened is ComScore changed the way it calculates its estimates of traffic, it does not have hard numbers. The perception of Hulu’s traffic has changed, not the actual visitors as far as we know. This number was also generated for June, the month after most television series have their season finales, so there isn’t as much reason for people to go on to the site, which means traffic should be down for that month anyway. The even funnier part is that Advertising Age reports that Hulu served the most advertisements of any video site in June to the tune of 566 million ads covering 7.6 percent of the country’s population. This is contrast to YouTube serving just over 200 million ads to 15.6 percent of the population. 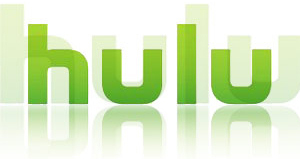 Hulu advertising inventory was said to have sold 98 percent of its available slots in the month of June, so we’re not quite sure what anyone is worried about because it sure sounds like Hulu is doing fine to us. The only thing all of this tells me is that no one really knows what is going on when it comes to traffic, page views and advertising revenue on the Web. All of this information is gathered by third parties, and of course the actual sites are never going to confirm or deny any of it. The problem is that ComScore changing its tabulation method and walking around saying, “Oh, they lost nearly half their traffic!” gives a bad perception to potential advertisers and could damage the company’s reputation. Whatever the case may be, I’m enjoying Hulu, and I hope it’s doing well enough to at least let me finish watching my way through the old episodes of The Mary Tyler Moore Show. What say you? Should third party services stop making reports like this?